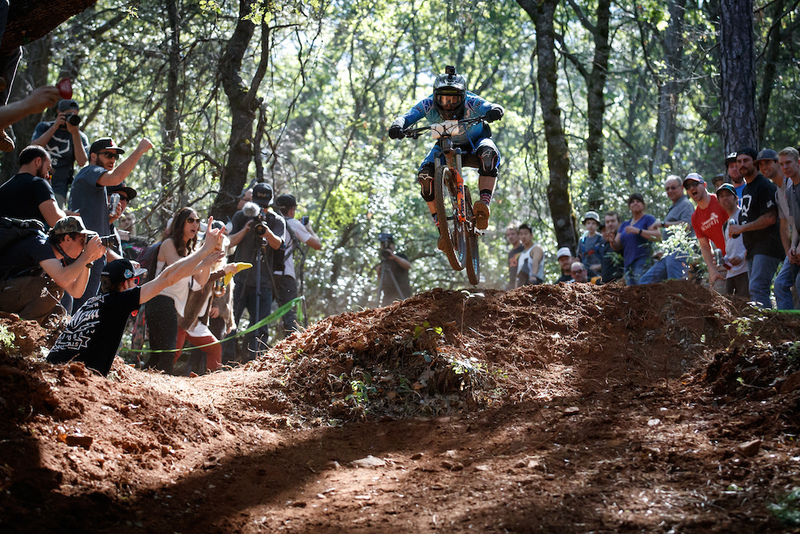 Think you've got what it takes to race the invite-only TDS Enduro? For the first time ever, event organizers are providing race entries for three lucky winners who prove they have what it takes to survive the weekend at what we think is America's gnarliest enduro race. Three contest entries will be selected to win a TDS Golden Ticket, which grants them free entry to race the coveted event! How to enter: All you need to enter is a phone and mad skills. Put together a 15-30 second video of you going full gas and proving you've got the chops to race TDS. Taking place in the Sierra Nevada foothills of California, all twelve stages of the TDS are among the roughest and rowdiest tracks in America, so show us you've got the skills to keep it (mostly) rubber side down throughout the weekend. Enter the contest by posting the video to Instagram and tagging all of the following hashtags in the caption of your video. Choosing a winner: The legendary Mark Weir himself will review the video submissions and select three lucky TDS Golden Ticket winners by March 16th. The Godfather of American Enduro values off-camber corners, white knuckle rock chutes, and unreasonably high speeds. Let the videos begin! Details: We're accepting entries from anywhere in the world, but winners are responsible for getting themselves to and from the event. We will cover the race entry fee, but participants are on their own for the rest of it, including food and lodging. There is plenty of space for camping on site, so sweep out the back of your pickup truck and bring a sleeping bag. Privateers encouraged. Self-reliance required.